The Incredibly True Adventures of an EdTech Trailblazer: Librarians UNITE!.... or at least let's get organized. Librarians UNITE!.... or at least let's get organized. I remember not too many years ago when Twitter was the new kid on the block and #EdChat was the first and only educational Twitter Chat available as a place to connect, share, learn and grow together as educators. Now the field has become saturated with speciality area chats from all corners of the world and with topics I didn't even realized existed in the education world. 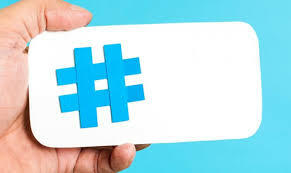 Both Participate Learning Chats and Cybraryman's Educational Hashtags provide comprehensive lists of ongoing Twitter chats but sometimes finding just the right search term to put in to find the one you need, especially for us librarians, can prove to be a challenge. Please use the form below to help bring our communities together from across the nation and around the world so that we can continue the thing that makes us as school librarians so awesome...CONNECTING!